I’ve always looked upon making my own pasta as a virtuous endeavor. Like tithing, volunteering, or rotating my tires on a regular basis. So when I told The One I was going to make Giuliano’s lasagne with homemade noodles, he gave me a very impressed nod of the head. I liked that. He was even more intrigued when I hauled out all my new KitchenAid rollers and cutters along with a ruler, broomstick, and 00 flour. Clearly I meant business. This recipe is a cinch to follow. Guiliano writes that you can make it over two days, but if you’re organized (which I’m not), you can make in an afternoon—which I did. My only problem was that I had to stop rolling the dough two settings before the narrowest setting that the recipe specified because the dough was stretching too thin. Thinking I perhaps made a mistake and had already rolled it into pasta oblivion (after all, I was picturing those hefty-hefty, thick-as-plywood lasagne noodles of days gone by), I posted a picture on Facebook in the hopes of getting feedback. And who should reply? None other than the doyen of Italian cooking—Marcella Hazan. She wrote, “Nice touch David, to lay out the pasta on checked fabric to display its transparency. Homemade egg pasta is at the top of the pasta pyramid, and homemade lasagne alla Bolognese commands the very peak. Why have so few refused to make that ascent? Congrats, D.L.” As you can imagine, I was practically vibrating with pride. One cooking suggestion: Make sure to use a very thin layer of sauce between the sheets of pasta, as it helps create more layers, which benefits this dish. Also, when you’re transferring the pasta sheets from the pot to the bowl of ice water, use a wide plastic spatula and tongs. It prevent the pasta from tearing. I have a pair of OXO tongs with nylon tips, and they were great for gripping but not ripping. The result? Everyone. Loved. It. The lasagne was surprisingly light. It was so light, our guests were able to eat two pieces each, something that displeased The One and me immensely because there were no leftovers. None. Nada. Zilch. I guess one of our well-fed guests summed it up perfectly: “It was the best I ever had.” Next time I make this, we’re inviting no one. 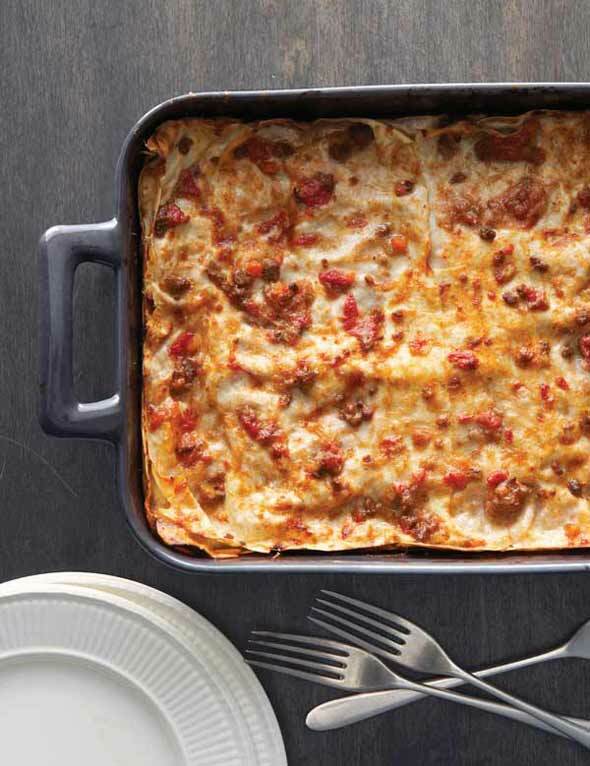 Lasagne—the Italian plural of lasagna, which refers to just one sheet of pasta—is one of our family’s favorite foods. Lovingly and carefully made, Italian lasagne bears no resemblance whatsoever to those heavy American things that rest in the pit of your stomach for days after being consumed. Bolognese lasagne is a delicate dish that is light, almost airy. It is a savory concoction, with each creamy bite melting in your mouth. It must be made with homemade egg noodles, and there is NO ricotta to be found in any of the Hazans’ recipes. My father adores green lasagne, and it is what he always requests when we celebrate his birthday at our house. My wife, Lael, who before I met her was quite indifferent to lasagne, now always asks me to make it for her birthday as well. Lasagne are often judged on how many layers they have. Five or six layers are considered the minimum. For Lael’s most recent birthday celebration, I made a spectacular nine-layer lasagne. It was absolutely worth every ounce of effort that went into making it. In addition to being a principal component of Bolognese lasagne, Bolognese sauce is so good on its own that it is a staple in our house. It freezes very well, so whenever I make it, I always make enough to last us for three or four meals. Its ideal pairing is with homemade egg pasta, particularly pappardelle, but it’s also wonderful with chewy, substantial shapes of dried flour-and-water pasta such as rigatoni, shells, and cartwheels. It’s not at all suited to spaghetti, which does not catch the sauce well. (Spaghetti with meat sauce is found in Italian-American cuisine but never in Italy.) The sauce recipe below makes enough for 1 pound of dried pasta. 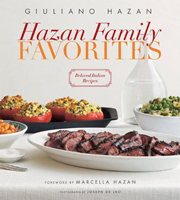 As Giuliano Hazan (yes, that Hazan) explains in his book, Hazan Family Favorites, he has “a routine now” when he makes lasagne, which makes the process “fairly easy.” His secret? He savvily spreads the cooking of this epic, authentic lasagne over two days: “The first day I make the Bolognese sauce, which only requires about 30 minutes of my time—because once all the ingredients are in, it cooks on its own. The second day, I begin by making the dough for the pasta; while it rests, I make the béchamel. Then I roll out the pasta, cook it, and assemble the lasagne. The second day’s work requires a little over an hour of my time, not counting baking the lasagne.” Seems simple—and doable—enough to us. 1. Peel and finely chop the onion. Peel the carrot and celery and cut into 1/4-inch dice. Place the onion, carrot, celery, butter, and olive oil in a heavy-bottomed sauce pot over medium-high heat. Sauté, stirring occasionally, until the vegetables are lightly browned, about 10 minutes. 2. Add the ground beef and break it up with a wooden spoon. Add the wine and cook, stirring occasionally, until almost half the liquid has evaporated. Add the milk and nutmeg and cook, stirring occasionally, until half the milk has evaporated. 5. Break the eggs into the center of the well. Using a fork, beat the eggs as if you were making scrambled eggs until the yolks and the whites are thoroughly blended together. Use the fork to mix a little flour from the bottom of the inside walls of the well into the eggs. Continue until the mixture thickens enough to cling to the fork when you lift it into the air. Use your fingers to squeeze the dough attached to the fork back into the well and set the fork aside. Push about 1/4 cup flour to the side, then use your hands to bring the rest into the center of the well. Mix together with your hands until a dough that clings together begins to form. If the dough feels sticky when you plunge a finger into it, add a little more flour. The dough should feel moist but not sticky. Wrap the dough in plastic wrap (the surface of the dough can begin to dry out in as little as a minute) and then scrape off any bits of dough that have stuck to the counter. Reserve any remaining flour off to the side. 6. Unwrap the dough and begin kneading it. Think of stretching the dough rather than compressing it by using the heel of your palm and pushing away from you. Knead until the dough feels homogeneous and smooth. If it seems to stick to your hand or to the counter, add a little more flour. On the other hand, if it feels too hard to knead, you may have added too much flour. Try wetting your hands and kneading the moisture in. If that doesn’t seem to help, it’s probably easier and faster to start over. If you don’t need to add any more flour while kneading, it should only take 5 to 6 minutes. Adding flour during the kneading process may increase the time since the further along you are, the longer it takes for the flour to get incorporated. When you’ve kneaded the dough sufficiently, wrap it in plastic wrap again and let it rest for at least 15 minutes or up to 3 hours. Never refrigerate or freeze pasta dough. As the dough rests, the gluten in the flour will relax, making it much easier to roll the dough. 7. After the dough has rested, unwrap it and knead it a few times to incorporate the moisture that inevitably rises to the surface. The surface of the dough at this point should feel silky smooth (a baby’s bottom is the traditional comparison). 8. Cut the dough into 4 pieces. Wrap 3 of the pieces in the plastic wrap. Flatten the remaining piece of dough as best you can with your hands then put it through the rollers of the machine set at the widest setting. Fold the dough in 3, and put it through the rollers again with the folds perpendicular to the rollers. Fold the dough in half and put it through one more time, again with the folds perpendicular to the rollers. Lay the dough on a towel and repeat the procedure with the remaining 3 pieces. 9. When all the pieces have been through the machine at the widest setting, adjust the rollers down one notch and put each piece of dough through once. Repeat, going down one notch at time, until you reach the next to last setting. Cut each sheet of pasta in half, then put each piece through the machine at the thinnest setting. Wrap the pasta in plastic wrap and set aside to rest. 10. Pour the milk into a small saucepan and place over medium heat until steam is released when the milk is stirred. This happens just before it comes to a boil. 11. While the milk is heating, melt the butter in a 2-quart saucepan over medium-low heat. Add the flour, mixing it in with a whisk until the mixture is smooth. Cook, whisking constantly, for about 1 minute. Do not let the flour brown. Remove the pan from the heat. 12. When the milk is hot, transfer it to a measuring cup or pitcher with a spout. Return the pan with the flour mixture to medium heat and begin adding the hot milk, very slowly at first, mixing with the whisk. Do not be concerned if the mixture becomes quite thick at first. Continue adding the milk slowly while mixing with the whisk. As the consistency becomes thinner, start adding the milk more rapidly until all of it has been mixed in. Add the salt and cook over medium heat, still whisking constantly, until the sauce begins to thicken, 10 to 15 minutes. The sauce is done when it coats the whisk thickly. (You should have about 2 cups.) Béchamel is best when used the same day but will keep overnight in the refrigerator if necessary. It’s not necessary to reheat it before using. 13. When the Bolognese sauce is ready, fill a pot for the pasta with at least 6 quarts water, place it over high heat, and bring it to a boil. 14. Fill a large bowl halfway with ice and water and keep it close to the pot of water on the stove. 15. Add 2 tablespoons salt to the boiling water and carefully add 4 of the pasta sheets. Cook for 1 minute, then gently lift the pasta out of the water using rubber-tipped tongs and a spatula (so as not to rip the pasta sheets) and place the pasta in the bowl of ice water. Gently swish the pasta sheets in the water, then lay them flat on dry towels. Repeat with the remaining 4 pasta sheets. 16. Preheat the oven to 425°F (218°C). 17. Spread a thin coating of béchamel on the bottom of an 8-by-11 1/2-inch baking dish. Mix the remaining béchamel with the Bolognese sauce and 1/2 cup Parmigiano-Reggiano. Bolognese Lasagne Recipe © 2012 Giuliano Hazan and Marcella Hazan. Photo © 2012 Joseph De Leo. All rights reserved. All recipes and photos used with permission of the publisher. I made the mistake of making this type of lasagne a few years ago. I say “mistake” because now it is the only one my family wants. I used a mixture of pork, veal, and beef and combined Marcella and Mario’s recipes with my own. Mine is basically made as above, although I’ve never combined the meat sauce and besciamella. I also always make a triple or quadruple batch and freeze some. 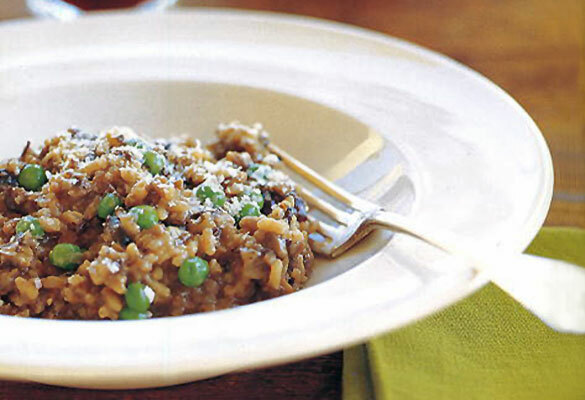 Makes an easy and prized meal from the freezer. Mo, it sounds like a wonderful—and enviable—problem to have. We look forward to hearing when you try Giuliano’s besciamella and Bolognese sauces. Oh. My. Goodness. Is all I can say. Will definitely be making this for New Years Day! Thanks for sharing. You’re quite welcome, Kristen. Happy to oblige. Happy holidays and let us know what you think…! Oh, you must, Kristen. I loved it. And apparently so did my guests. Too much, if you ask me. How much store-bought dry pasta to replace the fresh pasta? Obrigado! bilbodouchebagginsm it will depend upon how many layers you want. I had about eight layers, but the pasta was very, very thin. Store-bought pasta is thicker. It will definitely be a different dish. I’d say buy two boxes and try that out. I’d even go so far as to say make a double batch of sauce, that way you can go to town. Fantastic. Fantastic, fantastic. I’ve been dying for an article/recipe like this. Thank you! Green pasta sounds lovely, I quite enjoy that idea. So happy that you found the recipe, Skeena! Spectacular recipe! I resolved to make it in place of our traditional lasagne recipe for Christmas Eve and it was a huge hit. Granted, I did not go ALL out and make my own pasta, but I did take the suggestion of using very thin layers of sauce between the pasta sheets which was welcome advice since I’ve never made a lasagne quite like this one. It was just fantastic and now, I’m afraid, expected…Thank you! You are so very welcome, JR. Lovely to hear it! Amazing! I used store bought pasta but the sauce was incredible! The family loved it! Thank you! Chrissy, just doing my job, ma’am. Which thickness of pasta was preferred? Hello, R Phillips. Every pasta machine is different. I use KitchenAid attachments, and I roll the dough to the second to the last setting. The best guide, though, is the image I posted below the recipe. You can see through it to the pattern beneath. That’s a great measure. I LOVE THIS RECIPE! I am just wondering if you are supposed to flour the layers when you get them out of the rollers like they do on YouTube? Marlon, you certainly can, but I just laid the pasta on clean kitchen towels and they were fine. I was looking for something sweet to bake today to pack in kid’s lunches and came across this. My mouth is watering! Guess I’ll be doing a little extra baking today. Can’t wait for dinner. Thank you! Hi Marion, no, not to the pasta itself. If you look at step 18, you’ll see the cheese and butter are for the assembly of the lasagne. But I’m going to change the ingredients list order to better reflect that. Thanks for that. Milk? in with a beef ragu? Weird! But it looks delicious. I live in the Italian deep farming countryside where everything is so very traditional and have eaten lasagne at several neighbour’s homes. They always make it at least 9 or 10 layers of (extremely light) pasta, occasionally they cook in a timbale which is a deep drum like pot and can take up to 20 layers. The meat ragu is spread very thinly between the layers and only a smattering of parmesan sauce on top, this means it can be cut into neat serving portions without everything oozing all over the place and looking more like a casserole than a lasagne. Although I can’t speak for Americans, I can say that the British take on lasagne is a definite no-no. And on the table is always a pot of chillis in oil or fresh ones when in season. Yum!!!! connie, yeah, milk is pretty traditional for many cooks in Italy. Marcella Hazan (the mother of this recipe’s author, Giuliano) calls for it. 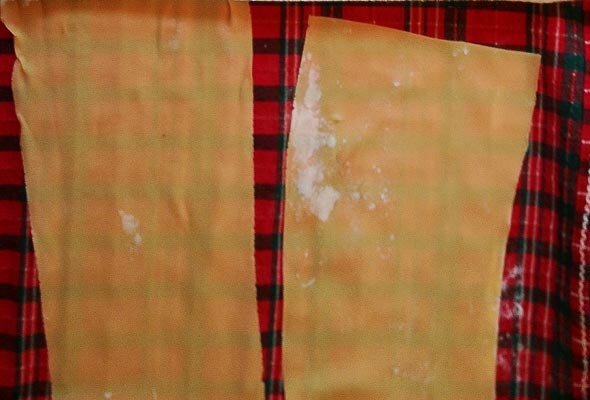 It is supposed to protect the meat from the acidic bite of tomatoes. And since it’s cooked away, all that remains is a very slight sweetness. And, the way your neighbors make lasagne is how I make it, too. This recipe won’t make 20 layers, but if you make the dough thin enough you’ll get 8 to 10. OK! Next time I make a lasagne I shall go with the milk–nothing lost in trying and the theory as to why it’s used makes perfect sense. Thanks. Let me know what you think when you make it, connie. I have a two month old baby, so I’m not up to making fresh pasta this time :) However, I want to try the sauces with Papperdelle from Trader Joe’s. How long do you think I should cook the pasta before assembling the baked dish? Katie, the lasagne noodles cook for so little because they’re fresh. I would cook the pappardelle a few minutes shy of the time specified on the package. You want it to be al dente so that it can finish cooking in the oven. Hello, for the 2 cups canned whole tomatoes can you please specify what size can that would be, ie. should I only use 16oz can. I’m concerned I might not use the right amount of tomatoes thank you!! Audrey, a 16-ounce can should cover you, because 2 cups equals 16 ounces. But why not get a 28-ounce can and have a little extra tomatoes for something else? More economical that way. Fabulous! I made this lasagna last night and it received rave reviews. I made the bolognese sauce in the crockpot the night before and then finished assembling the dish in the morning. The sauce is tangy and flavorful, but not overly heavy. There was really good balance overall. I really liked that there was not a lot of cheese in the sauce to compete with the tomatoes and pasta. I added the cheese to the bechamel sauce and added sauted zucchini, mushrooms, and spinach to the sauce. Due to time constraints, I did not make my own pasta but I did buy sheets from a local Italian deli. I live with three picky eaters who do not really like tomato sauces, but they devoured it. This will become a regular in our house. Jessica, musica per le mie orecchie. (I have no idea if I wrote that correctly, but it is indeed music to my ears. Glad we could help add another recipe to the roster at Chez Jessica. I made the bolognese tonight…delicious! I doubled the recipe and plan to make the lasagna with the leftovers this weekend. My only concern is that the sauce, without the béchamel added yet, is very fatty. Do you think this is the meat I used? Or does the bechamel help to balance it out in the lasagna? It has that oily feel to the lips, which maybe when dispersed sparingly between pasta layers won’t be a big deal. I’m just wondering if I should do something different next time. The lasagna is for a special occasion and I’m wondering if I should remake the bolognese for the dish with a leaner ground beef? Andrea, if you followed the recipe exactly, it should be all right. The béchamel should “cut” the oily feeling, even though it has fat in it, because of the flour. Did you use the meat specified in the recipe? Any extra fat or oils? David, thank you for this wonderful web site. I get hungry reading here. I can certainly ask, Sara! Can you freeze the uncooked lasagna? Hi Carol, you can certainly freeze the sauce but Giuliano does not recommend freezing the pasta. this recipe says it serves 4 but it seems to me that it sould serve about 10 especially if you have 6-8 layers. Actually, carol, the recipe says it serves six. But it could defintely serve eight. But realize this is it an 8 x 11 dish not a 9 x 13. Just curious if the step where you cook the noodles is necessary since they are so thin? And can you freeze a cooked lasagne brought to room temperature? About to tackle this venture…foresee a long day of cooking! Jane, honestly, I don’t know. I’ve never made it without cooking the pasta. I think it’s best to cook it, though, as a lot of the starch is released into the water. And, yes, you can definitely freeze it. I cut any leftover lasagne into single-serving portions, wrap them in plastic, then foil. Lasagne anytime! Hi, it’s 1:10 in the morning and the liquid has just about completely cooked out of the Bolognese… after about four and a half hours! I had to raise the heat a bit or I’d still be waiting. I did double the recipe… so maybe that’s why. I used ground chuck – 80/20 and typically I would cook the beef seperately and drain any excess fat; however, this recipe did not call for that step. I’m wondering why? I did use a paper towel and kind of absorbed what fat I could off the top. I plan on making the pasta and sauce tomorrow and cooking it so I’m not sure if removing some of the fat will effect the taste. What do you think? Lastly, I noticed here and on other websites that people keep talking about green pasta, but nowhere in this recipe or others do I see any mention of spinach… am I missing something? I ordered the cook book so perhaps you left it out and it’s in there? Ann, the extra time was definitely due to the doubling of the recipe. You have twice as much liquid, which can take up to twice as much time to cook off. The fat adds to the mouthfeel and flavor. I wouldn’t remove any of the fat. As far as green pasta, some lasagne Bolognese recipes alternate regular and spinach pasta sheets. This recipe doesn’t. In my note above the recipe, I mention that I had done that prior to this recipe. But it’s not a requirement.